by general roller machine as well as some complicated materials. 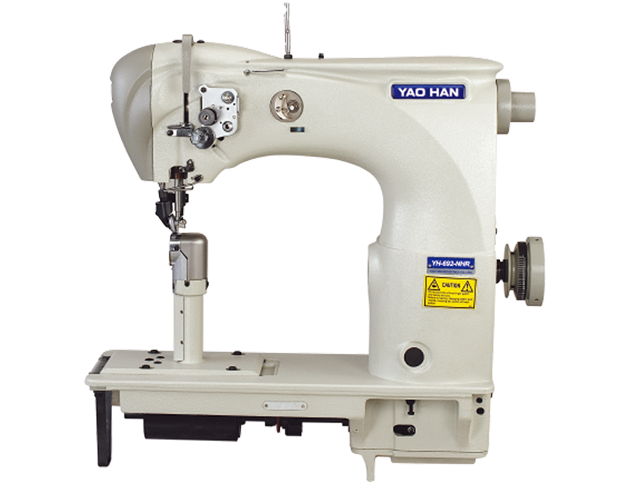 Due to special unison feed, no wrinkle in light material and fine stitch in heavy material. sponge-within leather and light materials, which can keep the seam smooth and evem, without crease. Adobrt the needle bearing design, which can reduce friction and the damage of machine parts, low noise. Easy to adjust seam setting. and beautiful finished seam is achieved with consistency. locomotive shoes, cotton shoes, bags, purses and other materials.